On the Robowranglers we’ve been trying to emphasize “Simplicity First” design. This doesn’t mean our robots will always be simple, but it means we’re going to try to make them as simple as possible. This means we try not to add anything to the robot unless it has been fully justified. We believe that simple robots are more reliable by default, and enable us to fulfill our “EVERY MATCH” performance goals. 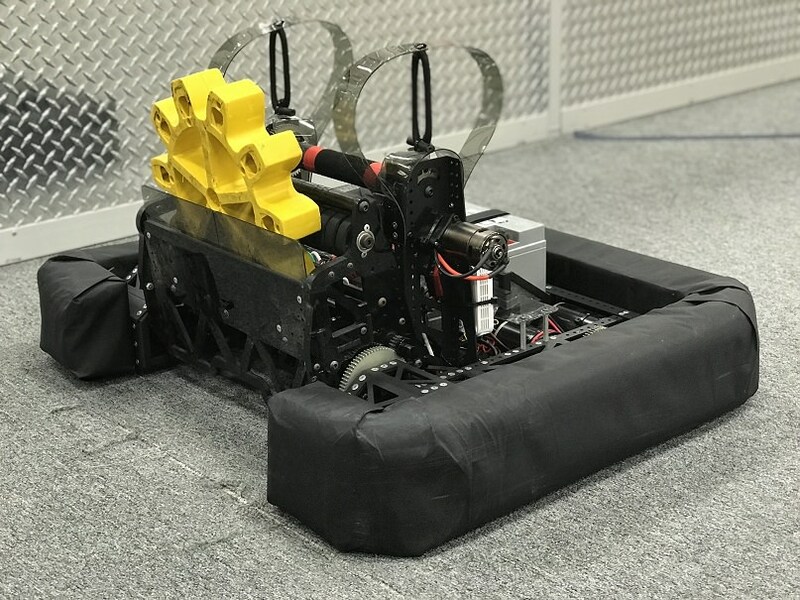 We believe that simple robots are typically lighter weight and smaller which often enables better performance on the field. We believe there are advantages to all these attributes, and we’re pushing to make this a core of our design philosophy. In 2018 a young mentor named Bryan “BJC” Culver joined the Robowranglers. Bryan is an alumni from FRC33 - the Killer Bees, was an IFI intern, and eventually a VEX engineer. He is one of the most talented young engineers I’ve worked with, and he’s taught me a lot over the years (and is still teaching me). During his year on the Robowranglers Bryan showed how counting the number of “Individual Actuations” on a robot is a great way to QUANTIFY something like Robot Simplicity. Lets see how the historical Robowrangler robots did based on this metric! There’s a “lot of robot” in that little robot. Musings more than conclusions… I think it’d be fun to develop this metric further. As I was going through, I immediately had the thought that “Pneumatics should be worth 0.5 and tiny pneumatics and servos should be worth 0.25.” I also think it’d be a lot of fun to see this applied to other historical FRC robots. I haven’t been able to draw any real design conclusions from this, other than: “I like Bolt and Uppercut.” What do YOU see? NOTE: I’m not talking about "actuators” I’m talking “actuations”. So if multiple motors are mechanically-slaved together, those multiple actuators will count as one “actuation”. Another way of thinking about this might be in terms of “degrees of freedom”. How did I decide if a set of very similar actuators should count as 1 or if it should be split into multiple? I guess the rule of thumb might be: “Could the design have worked if there was one larger actuator availlable, but splitting it into smaller ones was either the only option, or just made sense - if not: it should count as multiple.” A great example are the pneumatics used to articulate the drivetrains on 2010, 2011, 2013, and 2014. In most of these cases, the design made more sense with four individual actuators, so I counted it as four. YMMV.